One of my very favorite fragrances? It's definitely Balenciaga Paris. I'm a huge fan of floral fragrances, and this violet-scented one is just so utterly divine. 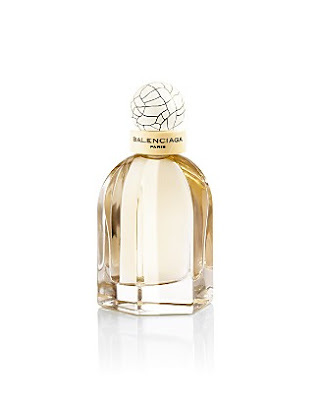 I'm thrilled to be partnering with Balenciaga Paris today to offer one lucky person the chance to win your very own bottle! This giveaway has a retail value of $95. To enter, place your name and email address in the box below. The winner will be selected on Friday, August 6 and notified by email. This giveaway is open to US residents only. Giveaway runs until Thursday, August 5 at midnight. One entry per person, email address and IP address. Multiple entries will be disqualified. I almost missed this one b/c I have been so busy. Isn't that perfume just so beautiful? I love the bottle and the fragrance. Classy!